We live in crazy busy times. Days that are so full on and so crammed in that we have to force ourselves to make time for ourselves and our loved ones. Although, we see and talk to our partners on a daily basis, how much do we really see and talk to them? When do we really get the chance to tell them how we feel, how they make us feel and how special they are to us? In my case, not enough! And I’m sure it’s the same for you. 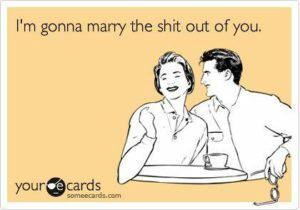 So for all you newly-weds-to-be, I would like to introduce the concept of a wedding love letter. Your chance to tell your love bunny how much you love them and why you love them and to put down on to paper all of those things that you think about them but never get the chance to say. And their chance to do the same for you! A wedding ceremony, being the momentous occasion that it already is, is such a perfect opportunity to share your feelings with your partner and the world and by doing this through an open love letter, you get to share your love out in the open. The idea of including a love letter in your ceremony, can also be used as an alternative to personal vows or in addition to standard vows that you might say. 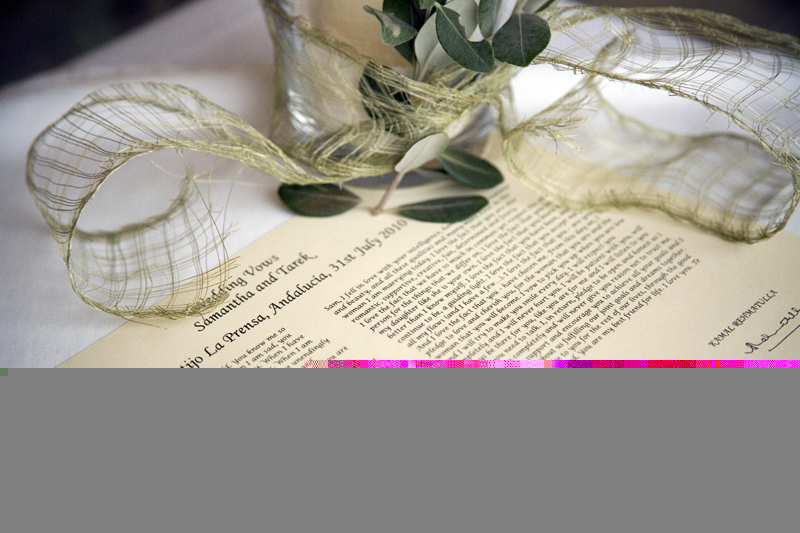 There are a few ways that you can incorporate a beautiful love letter into your ceremony. Write letters and ask your celebrant or a friend to read them. Your ceremony is going to be emotionally charged. You are going to be brimming and very likely overflowing with emotion. So if you feel that you would have difficulties reading your own love letter then it’s a great idea to have your wedding officiant or a close friend read the letters for you. Having the letter read on your behalf also gives you a nice chance to listen to your own words and to have eye to eye contact with your love bunny, so that you both silently acknowledge those powerful words, as they are being read out. Write and read your letters to each other. If you can do this, you will love the emotion that you feel in being able to say the special words that you have written directly to your partner. It doesn’t matter if you lose it a bit, cry, or get choked up – that my friends, simply adds to the power of the moment. Your love bunny will also appreciate hearing those beautiful words being said to him by no one else other than his true love. Happy days! Write letters and incorporate them into a memory box ritual. Although, this for me is a wonderful idea, I don’t know if I would have the patience to wait much longer to know what my love bunny had to say about me. But for those of you who have the patience of a monk, then this may be the option for you. Many couples who include a memory box ritual in their ceremony like to add their letters to the box, so that they can read them when the box is re-opened after a significant period time or a relationship milestone. You can read a post that I have written in more detail about the memory box ritual and what else you may want to add. Don’t get too personal or too intimate. Save those bits for when you can tell your love bunny in private! Three or four paragraphs is a nice length. You want to express your love but you don’t need to rewrite Gone with the Wind. Write to your love, not to your guests. ‘I love you because… not I love her because…’ It’s much more personal and is how you would write an actual love letter.